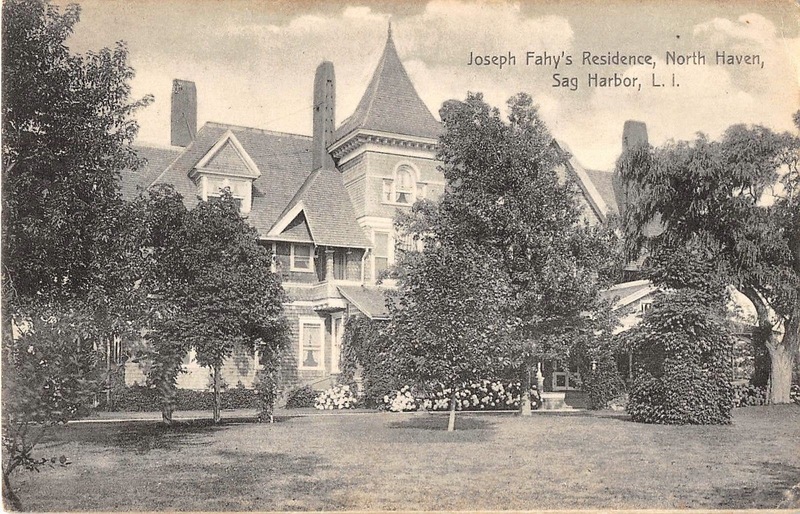 'Andelmans', the Joseph Fahys estate designed by Montrose W. Morris c. 1889 in North Haven. Click HERE for more on 'Andelmans' which has since been demolished. Out of everything there is to look at on this post card, my eye keeps getting pulled back to the notch cut out of the roof. I understand it was probably a structural necessity ... but should it have become a focal point? Doug - it's a piece of creative carpentry to allow the roof of that tiny second floor porch to line up with the roof on the other side of the tower. It seems they also wanted the roof to slope away from the chimney as well - forming that odd joining when viewed from the angle the photo was taken. If you look at the color postcard from the previous "Andlemans" feature in 2012 you'll be able to see how roofs line up when viewed head-on. Carpenter's Apprentice -- thanks. I'm sure you're correct. I'm also sure it would have taken me longer to notice that the roofs didn't line up (especially after the trees matured). I appreciate the creative carpentry; it reflects an effort you don't see too often today in residential construction.